Think of Dell computers and you'll probably think of the machine you use at work. Dell is known as the master of the business world with reliable and sturdy computers, but rarely for breaking out into the mobile or tablet industries. Until now... possibly. 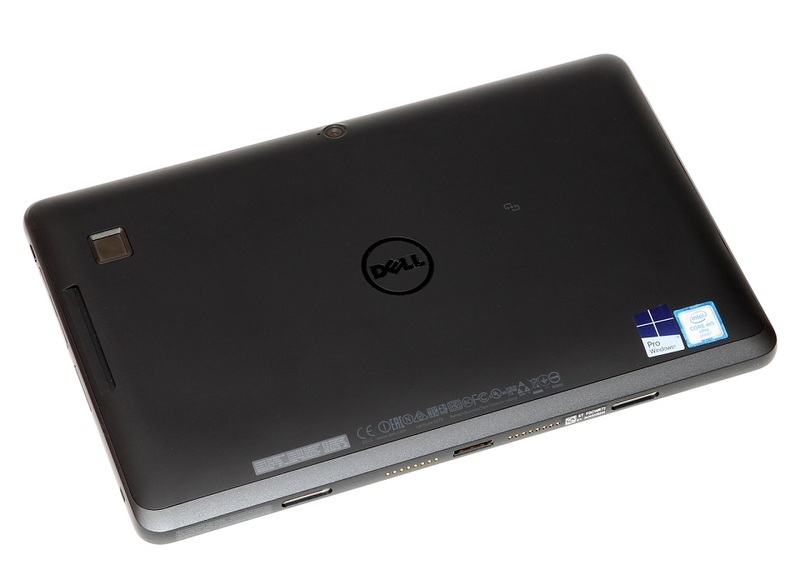 We take a look at the Dell Latitude 11 5000. This machine, in essence, is a Windows 10 tablet with a detachable keyboard. We reviewed a similarly set up and sized product last year from Asus, the Transformer Book, but although the two devices might look the same and act the same, the Dell Latitude 11 5000 is veeeeeery different. 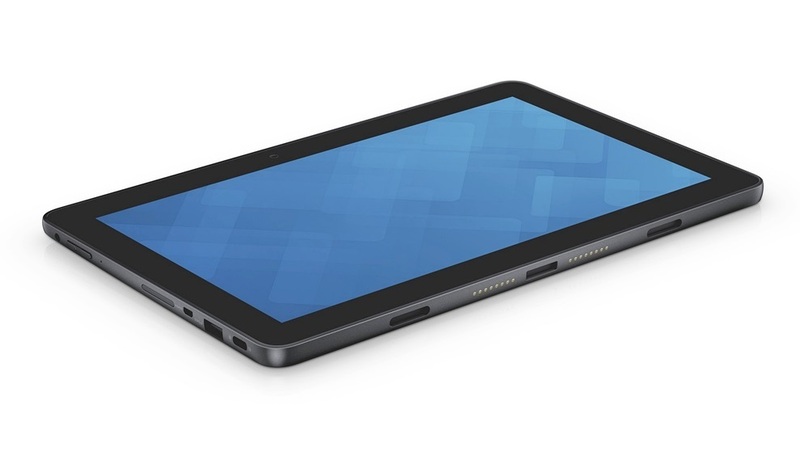 For a start, the tablet itself is jacked up with power and processing unlike normal mobile slates. You get a choice of either an Intel Core M3 or M5 processor, 4GB of RAM, a 128GB solid state drive, and Windows 10 Pro installed as standard. The screen is 1080p HD, there are two cameras, the forward facing of which is 5.7MP, and there is also a fingerprint sensor to keep your files secure. That all sounds awesome, but it comes at a price. The Dell Latitude 11 5000 is both chunky and heavy – in terms of tablets, that is. It has a pleasingly soft-touch back panel and rounded edges, but it still feels very much like a product designed to be used for work, not play. On that note, Windows 10 in tablet mode is... all right, we suppose. We're not huge fans of it, compared to Android at least, but we're assuming most people who buy this won't often go down the finger road. Ha, finger road sounds rude. 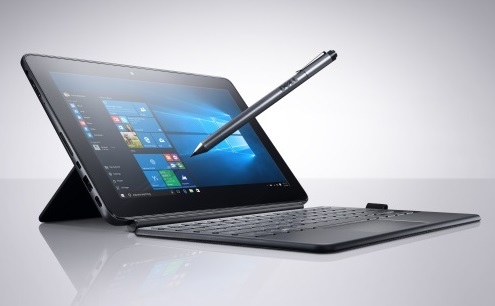 What we mean is that one of the two keyboard options will probably always be used, and here you get an advantage over other 2-in-1 tablet computers. 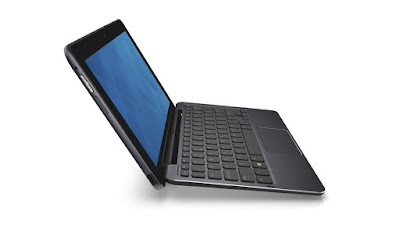 The Dell Latitude 11 5000 has an optional - and fairly ordinary looking - keyboard with trackpad, which magnetically attaches to the base of the screen and contains it's own battery to boost that of the Latitude's. Unlike other clippy-on keyboards, this is sturdy as hell, and once attached and closed up, it makes the whole unit feel very much like a small laptop. A chunky laptop, that is. From 2008. Still, the hinge on this kind of optional keyboard is tough and can hold up the Dell Latitude 11 5000 at most angles without sagging. Using the trackpad means you can navigate Windows 10 normally, giving the whole deal a much more natural feeling. But there is more. If that keyboard is just too thick for you, the Dell Latitude 11 5000 also comes with the option for a far slimmer keyboard. Feeling more like a stiff case than a keyboard, the Slim Keyboard attaches to the same magnetic connectors but does not feature a hinge. Instead it has it's own kickstand which props up the screen from the rear, with a choice of viewing angles. It also have a trackpad, but far flatter keys. It still felt comfortable to type on, however, but once closed up and with the kickstand folded down, it wasn't all that thinner than having the full-sized keyboard attached. So what the hell is this thing? 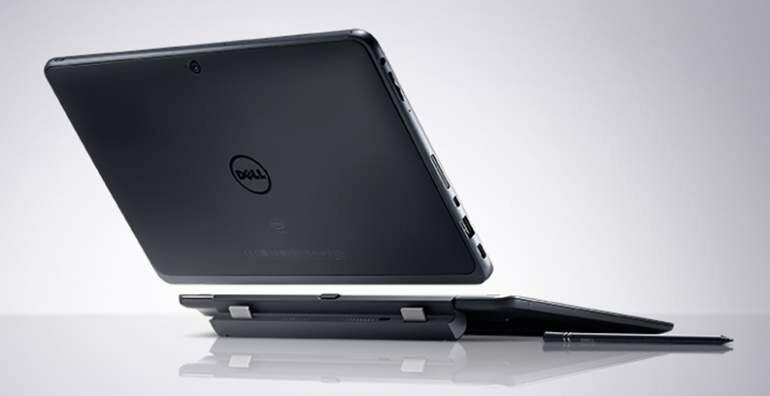 If we're being honest, the Dell Latitude 11 5000 is neither a good option for your new laptop or tablet. What it is, is potentially the next computer you'll be given by your boss... and for good reason. Although the thickness and weight might surprise you (considering its 2017) it seems like Dell have designed it knowing it will stuffed into briefcases and bags and lugged from meeting to meeting, and from client to client. This is a workhorse computer; one to given to someone who doesn't really care much for it, but who is accustomed to using a touch screen (because it's 2017). 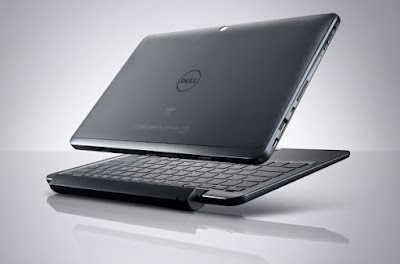 The powerful specs, the heightened security, and the rugged flexibility of the keyboards make this a perfect business machine, which we really should have expected from Dell. You might not be attracted to it for home use, but if you get it for work use you really won't be able to find a quicker and more compact notebook.